This is an invitation to sign up for the Westport Lions fifth annual Beach Volleyball Tournament being held at the Lions Beach on Saturday, July 22rd. There will be a canteen, music, and plenty of fun prizes given out. The schedule will be determined once we know the number of teams we have in each division. We can accommodate ten teams. There will be two divisions, one will be competitive (designed for players that have played at least high school varsity volleyball) and a non-competitive division (for people who are happy just to get the ball over the net). Competitive teams will play 4 v 4 and non-competitive teams will play 6 v 6. Each team is guaranteed at least 3 pool games and one playoff round. To encourage a fun, non-competitive atmosphere, each competitive team must have at least 1 male and 1 female on the court at all times, and each non-competitive team must have at least 2 males and 2 females on the court at all times. The entrance fee is $100 if you complete the registration form, and submit full payment before July 1st. If you pay the entry fee after July 1st then it is $120/team. The first ten teams to submit their entry fee and email the application form to westportontariolions@gmail.com are in the tournament. Teams that email their registration form to the Lions Club but do not submit the entry fee will be placed on a waiting list. We will accept teams on a first come basis, so it important to get your registration fee and form in a.s.a.p. The rain date will be Sunday, July 23th. If you have any questions, please call Chris Hartley at 613-273-8858, or email him at shorthartley@hotmail.com or Lion Bob Reddick at 613-273-3499, or email him at westportontariolions@gmail.com. 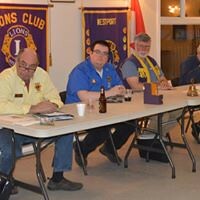 All information pertaining to the tournament is posted on our website, westportlions.ca, or our Facebook page, (https://www.facebook.com/pages/Westport-Lions-Club/332386306871869). Bring your families to cheer you on – the Lions Beach is a beautiful place to spend a summer’s day. See you at the beach! The team captain submits the entry fee, and completes the registration form below. Schedule and further details will be sent to the team captain. 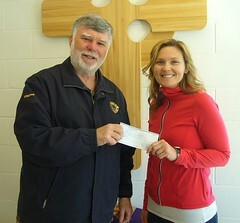 If you wish to pay by cheque, please make it out to the Westport Lions Club. If you do not wish to pay the entry fee before the tournament then email the registrations form to westportontariolions@gmail.com, and you will be placed on the waiting list on a first come basis. If you just email the registration form then you will be placed on a waiting list on a first come basis. 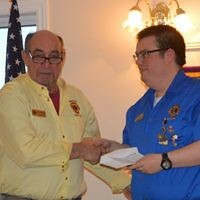 I hereby agree that this activity is, and shall be, at my own risk and I, for myself and on behalf of my issue, estate, beneficiaries, successors, executors and any person claiming pursuant to the Family Law Act or through me, hereby release, forever discharge and save harmless WESTPORT LIONS CLUB AND ITS MEMBERS, any sanctioning bodies, sponsoring companies, participants, entrants, etc. 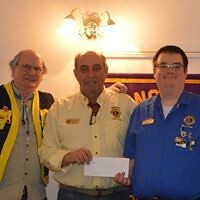 connected with this event from and against any and all actions, claims, costs and expenses arising out of my participation in Beach Volleyball Tournament for Westport Lions Club, including without limitation, any physical injuries or for loss or damage to my property.